A world wide event where all members of the scout association go walking or hiking on the same day. Brookvale Curl Curl Cubs went with other cub packs from the Northern Beaches District for a walk from Milsons Point, across the Harbour Bridge, lunch on the edge of the harbour, then a walk across the "Tim Cahill Expressway", and catch a ferry home. As you can see the weather was a clear winters day with not a single cloud in sight! We have ordered the badges, and should have them for the start of next term. For more on the Pylon Lookout see www.pylonlookout.com.au. Thanks to Lea, Margie and Skipper for the photos. 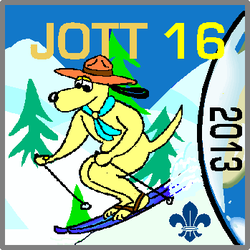 On Sunday the sixteenth of June I went to Jamboree on the Trail with the rest of Brookvale Curl Curl Cubs. Guess where we went? SYDNEY HARBOUR BRIDGE! We quickly got a buddy and set off. There was only 12 cubs (an easy number to herd from place to place). We found out that we were going to the Pylon Lookout and museum. I had to say it had a pretty good view. It also had some interesting facts on how the harbour bridge was made. After that we had lunch and carried on to Circular Quay and caught a ferry home. I have to say it was cool! View from the pylon lookout to the Opera House, Botanic Gardens, Circular Quay and the city.